The Cyclone Dirt Trap Bucket Insert will help you avoid adding those dreaded swirl marks when you are washing, by removing and trapping dirt from your wash media. 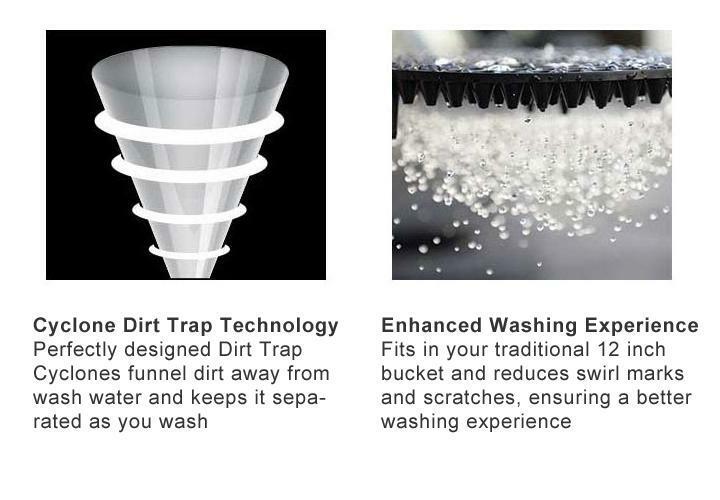 According to Chemical Guys, "The Dirt Trap funnels of the Dirt Trap separate dirt through centripetal force and push it through tiny holes underneath the wash screen". This means that when you rinse off your wash mitt, sponge, etc. the dirt will be pushed through the tiny cyclone holes in the Dirt Trap and trapped underneath it. This way you will not see dirt floating up in your wash bucket, it will all be trapped underneath the Dirt Trap! 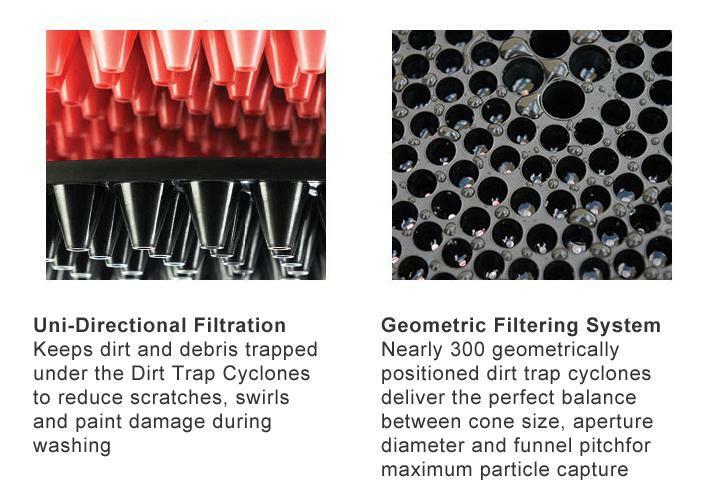 Simply place the Cyclone Dirt Trap at the bottom of your bucket, it is that easy! The Dirt Trap fits snugly at the bottom of any of our 5 gallon buckets or 3.5 gallon buckets, and it will not float up to the top when in use. 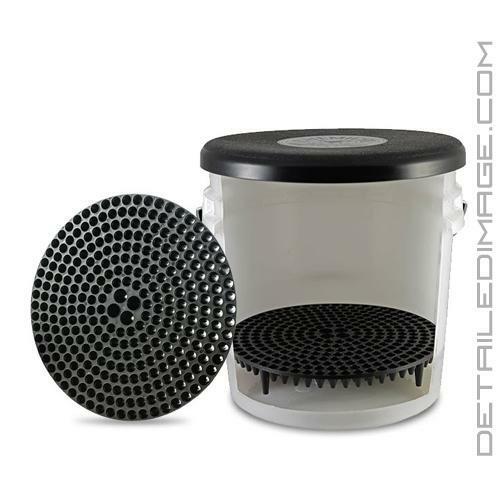 If you have any buckets on hand, the Cyclone will most standard size 5 gallon buckets and many other round buckets. When you are finished washing you can simply rinse off your Cyclone and let it air dry for your next use, no other maintenance is needed! If you are looking for an easy way to cut down on adding swirls and scratches during the wash process, pick up the Cyclone Dirt Trap Bucket Insert today! Great product! Using it with a grit guard for extra protection. Easier to rub the wash mitt across the surface to loosen the grit particles. I use both the Cyclone dirt trap insert with the Grit Guard insert, in the same bucket. Does a great job! The product is nice. It's good quality, made in USA!! and works well.